“To build a city where it is impossible to build a city is madness in itself, but to build there one of the most elegant and grandest of cities is the madness of genius” . 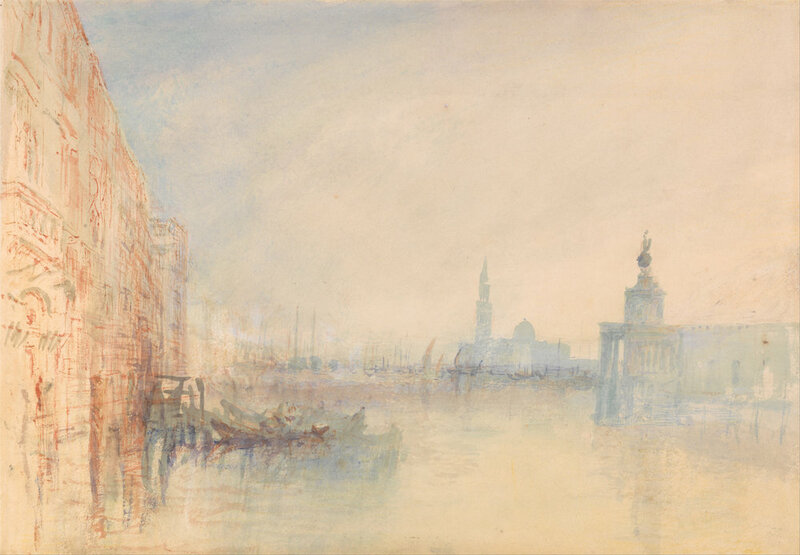 Two general comments above all emerge from the diaries and letters of visitors to the city: Venice’s beauty and its strangeness, hovering, in Wagner’s words, somewhere between sky and sea. Perhaps this is why the place has proved so inspirational to artists, writers and musicians. 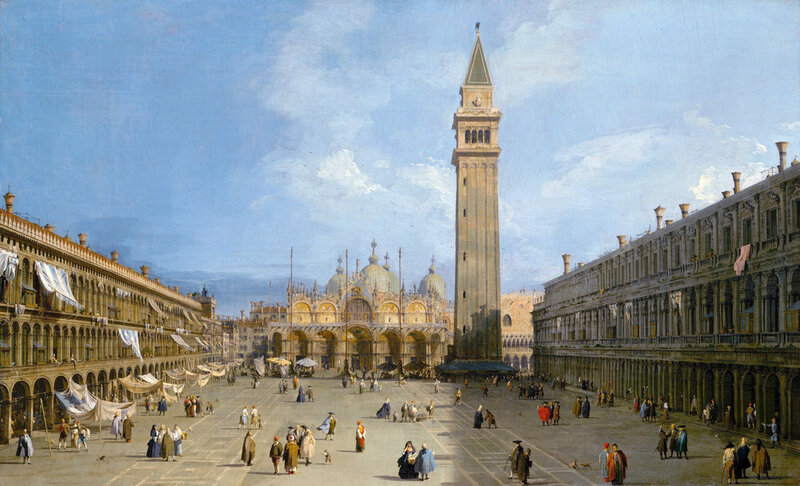 In the eighteenth century Venice was normally either the first or last port of call for grand tourists doing the tour of Italy, or Giro d’Italia. It was also frequently visited during the Carnival or for the Feast of the Ascension when the Doge’s barge, the Bucintauro (literally golden barge) was rowed out with great ceremony to the Lido for the Sposalizio del Mar (the Marriage of the Sea). Travellers, such as William Beckford, arriving in Venice from the north, would generally have come down through the treacherous alpine passes around Mont St Cenis from where they would progress generally to Turin and from there would head over to Padua, where it was customary to enrol as a student at the University of Padua even if few actually attended classes. From there both Beckford in the 1770s and Joseph Spence in the 1730s took a barge along the Brenta, arriving by water in Venice. With the building of the railway connecting Mestre to Venice, which was much deplored by Ruskin, travellers would generally arrive by train as they do today before taking a gondola from the station. This was the general pattern throughout the nineteenth century, though some American plutocrats such as JP Morgan and his daughter-in-law Jane Morgan preferred to arrive by sea on a steam or motor yacht entering Venice, as it were, by the front rather than the back door and tying up at the Molo or dropping anchor near the entrance to the Grand Canal. Until the fall of the Republic in the late eighteenth century and the building of the railway viaduct connecting Venice to Mestre in the early nineteenth century, Venice had remained remarkably unchanged since the Renaissance; and even today its lay-out is substantially as seen in Jacopo de’ Barbari’s famous bird’s eye view. This section of the Venice Grand Tour Diaries provides a topographical overview of the principal areas of the city together with historical details on some of the major sites and a selection of eye-witness accounts. For ease of reference, we have divided this section into 4 main tours. 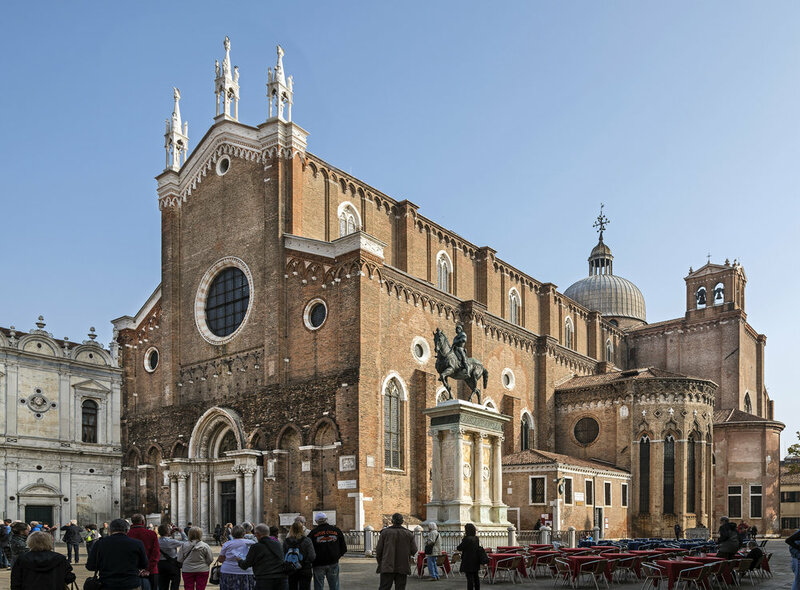 We start in the Piazza San Marco where distinguished visitors would have arrived in the eighteenth century and we explore the Basilica of San Marco and the Doge’s Palace taking in some of the other famous buildings in Venice’s main square. We then take a gondola up the Grand Canal to the Rialto Bridge and just beyond, looking at some of the famous palazzi on Venice’s main thoroughfare. In the third tour we explore some of the Churches and visit the Scuola San Rocco and in the fourth section the Lido, the Arsenale and the islands of the Lagoon. Click on the icons above to choose your tour.